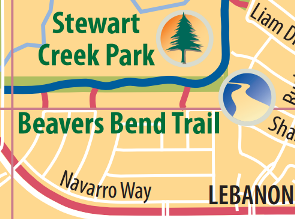 Extending from Beavers Bend Park to 4th Army Memorial Drive, this 1.2-mile trail features a pond and playground for your little ones. 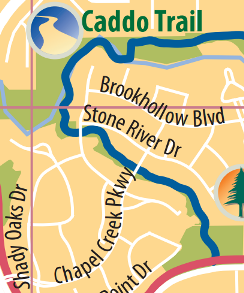 Caddo Trail runs 1.1 miles along Stewart Creek from Stonebrook Parkway, through the Chapel Creek development to J.C. Grant Park. 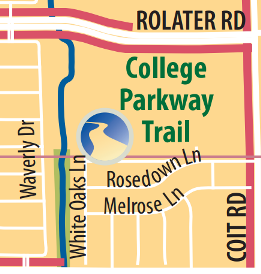 Aptly named, the 1.2-mile College Parkway Trail connects the Preston Ridge campus of Collin College, Shawnee Trail Sports Complex and Shepherds Glen Park. 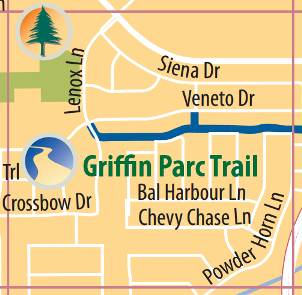 Situated within the Griffin Parc development, Griffin Parc Trail runs 1.1 miles from Teel Parkway to just west of Legacy Drive. 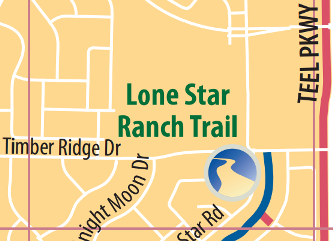 At a half-mile long, Lone Star Ranch Trail connects the Lone Star Ranch development to 4thArmy Memorial Drive, where is connects to the Beavers Bend Trail. 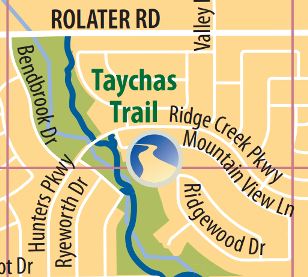 An even one mile in length, Taychas Trail runs north along West Rowlett Creek from Isabel Elementary School to Rolater Road. 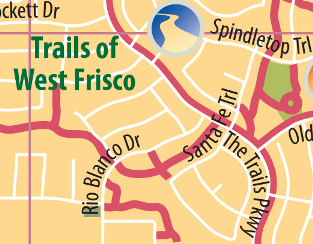 Situated within the Trails of West Frisco development, this trail connects Main Street to Cottonwood Creek and will ultimately connect to Eldorado Parkway.